It doesn’t get any cooler than Bing Futch! 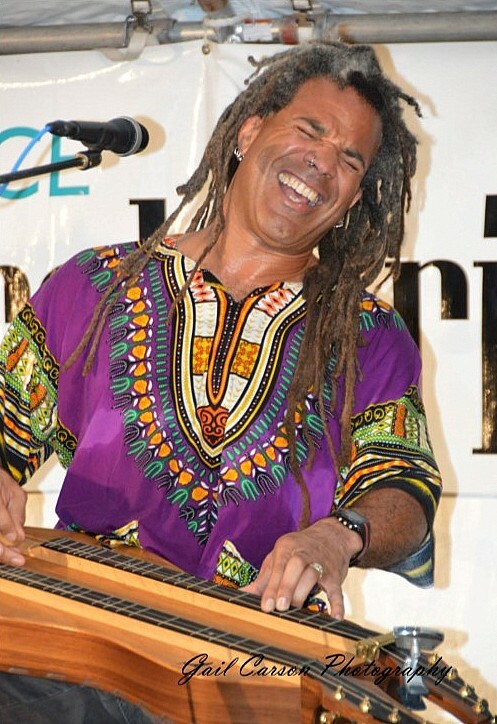 With a big smile and wild dreadlocks, Bing Futch kicks off every performance with a buoyant energy that is inviting and energizing. This award-wining singer/songwriter/instrumentalist from Orlando, FL takes the Appalachian mountain dulcimer to electrifying extremes. African & Native American rhythms, blues, bluegrass, funk, jazz, Celtic, country/western, Middle Eastern & Latin influences mix with original rock and pop grooves. He won’t abandon the traditional, but this performer extraordinaire will take you on a ride to innovative with many stops along the way. Vocals, dulcimer, Native American flute, with electronic effects, like you’ve never heard them before!
. Call 518-674-2007, or reserve Online at slca-ctp.org. Tickets are $18, $10 for under 18.